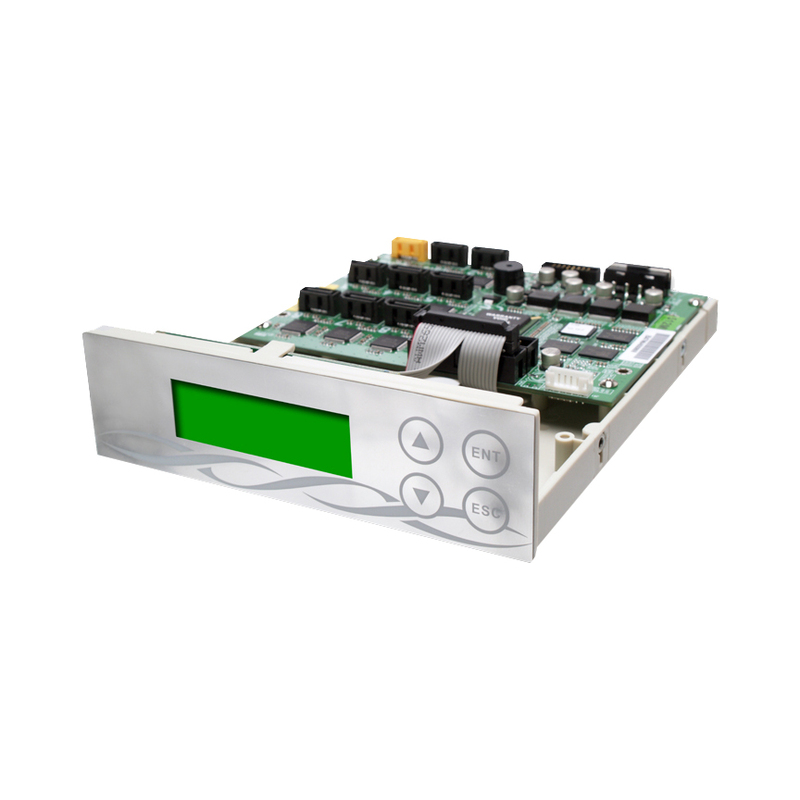 The Athena PLUS Daisy Chain features scalable Daisy-Chain technology allowing users the flexibility to connect numerous Athena Plus controllers, up to 255 in all to expand productivity when necessary. A single master DVD/CD or a Hard Drive can be used as the source writing to all the targets for easy management. Athena PLUS features all the innovative functions and proven technologies found in our best-selling Athena series such as DHP technology for dynamically assigning hard drive partition according to size to manage HDD space more efficiently and our unique Master Error Proof (MEP) technology allowing user to replace a bad master disc during copy cycle without interrupting the process or wasting blank target discs.